RUSH: You know, Trump’s over in Vietnam as part of his Asian tour, and word leaked that he might run into Putin while there. And so the Drive-Bys have been focused, there is a sick and morbid curiosity they have over whether Trump will meet with Putin while they’re both in the same place. And of course you know what’s driving this. Trump and Putin colluded to steal the election. And so since that’s the foundation of everything they report on regarding Trump, since this happens to be a worldwide economic summit, Putin is there, but they have been keeping cameras trained on all the joint sessions to see if Trump and Putin sneak off, have a private meeting somewhere, because of course that will mean they’re continuing to plot the collusion for the next election, or they’re getting their signals straight and making sure their denials on colluding last year remain consistent. I mean, this is the premise that the Drive-Bys are operating under. And so the White House has been saying (paraphrasing), “Well, we don’t have any scheduled meetings with President Putin, but, you know, if they’re in the same room, the president will say ‘hi’ and shake his hand,” and it turns out that’s what happened. Trump towers over Putin, by the way. They’re each wearing these blue untucked, long sleeve, formal, dark-blue shirts that you wear in Vietnam for quasi-formal wear. And Trump shook Putin’s hand, and Putin smiled back and the Drive-Bys are trying to create collusion or near collusion or past collusion out of this. What does it matter that Trump meets with Putin? About this, do you know who Keith Schiller is? 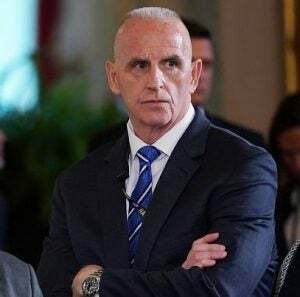 Keith Schiller has been Trump’s lead, number one bodyguard and security guy for years. And during the campaign, it was Keith Schiller that you saw all over the stage. He’s got the Marine buzz cut. He’s a very tall. He’s in perfect shape, and his job is to protect Trump from whatever. And in fact he went to Washington with Trump, and he essentially has a security position that’s either equal to or maybe even higher than the Secret Service detail. Keith Schiller is the guy, his title is something like Oval Office Security Operations or some such thing. And I remember when Kathryn and I went up there and had dinner on March 23rd, when we left the Oval Office, had been there about an hour and a half, we had meetings, and after we left, the president was gonna give us a little bit of a tour, parts of the place he wanted us to see. And there was Keith Schiller doing the final sweep of the Oval Office after everybody left. And then trailing us, not easily seen. Anyway, Schiller travels everywhere with Trump and has for decades, for years. And so they brought Schiller up, wanted Schiller to testify, grab audio sound bite number 15. Because the story is: “Trump Bodyguard Keith Schiller Testifies Russian Offered Trump Women, Was Turned Down — After a business meeting before the Miss Universe Pageant in 2013, a Russian participant offered to ‘send five women’ to Donald Trump’s hotel room in Moscow,” according to Keith Schiller. He told Congress this week under oath. Now, it was closed session, but there are three anonymous sources present for the testimony, and they have leaked this to — what is this? — NBC News. “Two of the sources said the bodyguard, Keith Schiller, viewed the offer as a joke, and immediately responded, ‘We don’t do that type of stuff.’ The two sources said Schiller’s comments came in the context of him adamantly disputing the allegations made in the Trump dossier, written by a former British intelligence operative, which describes Trump having an encounter with prostitutes at the hotel,” hiring them to urinate on the bed because Obama had slept in it. Now, all of this kind of actually fits together. 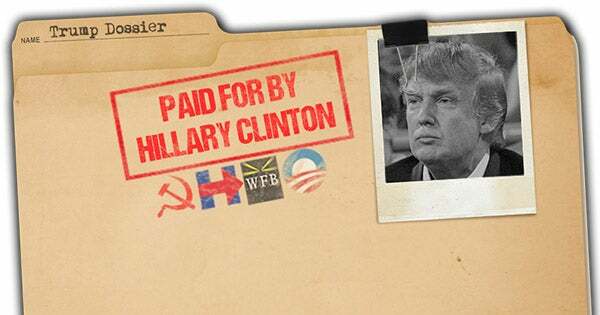 The KGB probably did offer Trump some prostitutes back in 2013. That’s what was up. Can I tell you a short little story to back this up? And I’m gonna openly admit my grand naivete here. I’m gonna take you back to 1988 or ’89. We’re not even on the air a full year, maybe just beyond a full year, and we’re in the process of adding stations left and right. And we had just added a station in Charleston, South Carolina. And back then, one of the things that I did was to go in on a weekend fairly soon after we had made the deal that they would become an EIB affiliate and I would go in and I’d do a Rush to Excellence show on a Saturday night and establish the bond between the program and the affiliate and the audience there. I would do a Saturday morning interview on the local station that was gonna carry my show and I’d arrive on Friday. I’d leave New York after the show on Friday and I’d go to where I was going. The people the station that were picking up the program would pick me up at the airport, take me to the hotel. What are they asking me, if I want certain kind of food, what? I had no idea what was going on. Literally had no idea. And they kept asking. This went on for like 10 or 15 minutes, and they had these sly, almost mischievous looks on their faces. And it wasn’t until years later that I began to understand what might have been going on there. But I had no idea at the time. I was just totally naive. They were asking, I’m sure now, if I needed any companionship. Maybe that’s what they were asking. But they kept at it, and I kept saying no, and they kept asking, and they knew that I wasn’t getting what they were asking. That’s why they kept at it. I never knew why. Even later, I mean, years later when I finally figured this out I still didn’t know why. Was it that they genuinely thought this would be cool and I would very much enjoy it, or was it for some nefarious thing? ‘Cause not every program director at every station wanted to carry the program. Well, that’s what happened here with Trump. He gets over there, and the KGB approaches Keith Schiller, according to his testimony, and says that the option of five women — the offer of five women — was made to send to Trump’s hotel room. Schiller said that he got mad and adamantly said, no. We don’t do stuff like that. We don’t do it that way. “We don’t do that type of stuff.” So it didn’t happen. However, it all can be made to fit together, in a way. The KGB probably did offer these five prostitutes back in 2013. And, by the way, back in 2013, it wasn’t because they thought he was gonna be president. I mean, Trump’s over there; the Miss USA, whatever pageant that he owns is over there, and so they’re just… It’s just the way it was done. It wasn’t because they were trying to set Trump up for later ’cause there was no indication in 2013 Trump was gonna be running for any office, much less president. It’s just the way the KGB works. It’s just the way they operate. “Hey, we know you’re here in this hotel room. Is there anything we can do for you? We’ve got you five prostitutes we can send up.” Five “women,” they would say. So then later, after all of this is long gone, here comes Christopher Steele, who is the author of the Trump dossier. So he starts rummages around and digging for all kinds of dirt. He probably encounters some KGB guys who remember offering Schiller five women for Trump, and they decided to build that offer up into the urination story! So there’s probably a small germ of truth to this that the guy who wrote the dossier then said, “A-ha! There’s my foundation and I can build off of this.” Because if the KGB told Steele, “Yeah, we offered him five prostitutes,” it doesn’t matter if they tell him that Trump and Schiller turned ’em down. There’s an element of truth. All you need in a manufactured story of lies is one element of truth, and you can create doubt that all of it’s true. “Schiller said he discussed the conversation with Trump as Trump was walking back to his hotel room,” this all happened with Trump not there, “and Schiller said the two men laughed about it as Trump went to bed alone. … Schiller said he and Trump were aware of the risk that hotel rooms in Moscow could be set up to capture hidden video,” and Trump has even mentioned that he knows this, which is why he didn’t do anything, among other reasons. If the KGB knows you’re there and they show up and offer you women? You automatically figure the hotel suite is tapped and bugged, and any person — any well-known person, any person of standing or wealth — who visits Russia or China or Cuba or any Third World dictatorship would know that places they are staying are bugged. The State Department even used to warn VIP travelers about this. TOOBIN: To be fair, this is exculpatory towards Donald Trump. The dossier said that there was this sordid sexual encounter between Donald Trump and … um … people sent by Russian intelligence. Schiller says, “No, didn’t happen, didn’t see it, didn’t see anything like it.” He said that there was this offer. But, you know, based on what’s publicly available, Schiller is the only version we have, and his version is, it didn’t happen, and, you know, I… In the absence of proof to the contrary, I think that’s what the state of the evidence is. RUSH: Take a quick break. We’ll come back and analyze after this. RUSH: You heard the disappointment there in Jeffrey Toobin’s voice. He said, “I wouldn’t get so excited, Anderson. This is exculpatory for Trump.” I mean, he admitted they were offered prostitutes and he turned ’em down. Trump was not even there when the offer was made. There wasn’t any prostitutes, there wasn’t any urinating on the bed, and there’s no other contravening testimony. So this one’s up in smoke too.